Posts tagged "resort versus yacht charter"
Is a Private Luxury Yacht Charter Vacation Right for You? We’ve all seen the images – a silhouette of a sailing yacht, lying at anchor near a secluded beach, the sun setting in the background; or the massive superyachts docked side-by-side in a marina along the Côte d’Azur. It’s not hard to imagine you and your family inserted in those yachting images, enjoying la belle vie. Is it realistic to think you can afford a holiday at sea on a private yacht? WHAT Is A Luxury Yacht Charter Vacation? If you’ve ever stayed at a resort, you’ve already experienced the premise of a yachting vacation on a crewed yacht. From accommodations, to meals, activities and amenities, everything you and your family need are available in one location. The biggest difference – your location “moves” when you charter a yacht! Take for example a Virgin Islands yacht charter vessel. While other travelers stay ashore and see the same view from their hotel window, each day you can wake up and experience a new location, as your yacht cruises from island to island. Forget a virtual online slideshow – this is the real deal! While onboard, you’ll be pampered by a crew of trained professionals – from a captain to navigate, to a host/hostess to serve you, and a chef to prepare your meals. The actual number of crew depends on the size of yacht you charter and the level of service you request, so there will often be more crew members than charter guests! Just like the resort, the yacht offers accommodations, areas to relax and socialize, and a wide variety of recreational toys to enjoy – like snorkel gear and paddleboards. The larger yachts offer a wider variety of toys and amenities, including waverunners, cinema rooms, exercise equipment – even ondeck Jacuzzi wellness spas. There is one more distinguishing difference when compared to a resort – it’s completely private – only you and your family and friends and your crew are onboard – no one else! Your confidentiality is assured with 1-800 Yacht Charters. WHERE Are Luxury Yacht Charter Vacations Offered? Again, the comparison to seaside resorts best illustrates the locations available for enjoying a yachting holiday – if it’s on the ocean, chances are there are yachts in the area available for hire! Caribbean – the islands of the Caribbean are popular in the winter and spring months, with sailing yachts heavily congregating in the breezy Virgin Islands, and larger motoryachts based in the celebrity-popular uber cosmopolitan areas like St. Martin and St Barts. Mediterranean – the summer playground for Europeans, charter yachts can be found throughout the Greek islands, as well as along the Italian and French Riviera. In recent years, new cruising grounds in the Med have become increasingly popular, such as the Spanish Balearic Islands and Croatia. Florida and the Bahamas – unlike Europeans who often take long, multi-week vacations, Americans take shorter holidays, often for no more than a long weekend. Staying closer to home becomes important when travel days are limited, so the idea of a Florida yacht charter escape is very popular, with the nearby Bahamas a strong option, as well. HOW Can I Afford A Luxury Yacht Charter Vacation? If you guessed that we would once again go back and look at a resort for the answer – you’re right! The price options for enjoying a crewed yacht directly compare to the prices of staying at a resort. Basic resorts in popular destinations can be very affordable for a family vacation, and so too can be the cost of a private yacht charter. Conversely, ultra exclusive resorts in posh settings charge premium rates – as do the most luxurious private yachts. MOTORYACHT – the 80 foot motor yacht JODI LEE offers both Bahamas and Florida yacht charter vacations for up to 6 passengers. Here base rate is $26,000/week plus a little extra to cover food, fuel, and dockage. SUPERYACHT – up to 12 affluent travelers can explore the Mediterranean onboard the 2017 Amels yacht HERE COMES THE SUN, a 272 foot yacht with a crew of 25. Weekly rate is Euro €1,200,000 with additional fees for food, fuel, and dockage. WHO Do I Call To Plan A Luxury Yacht Charter Vacation? 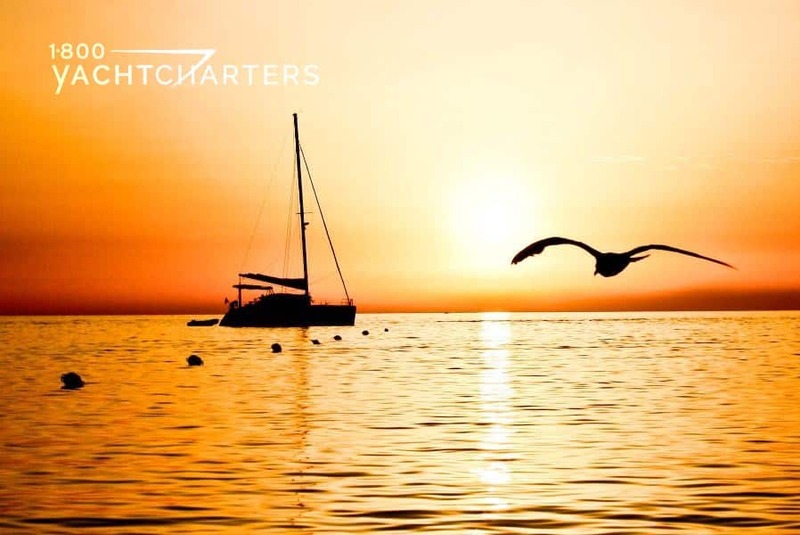 The owners of charter yachts rely on a network of professional yacht charter brokers to serve as the go-between for owners and anyone interested in securing a yacht for hire. 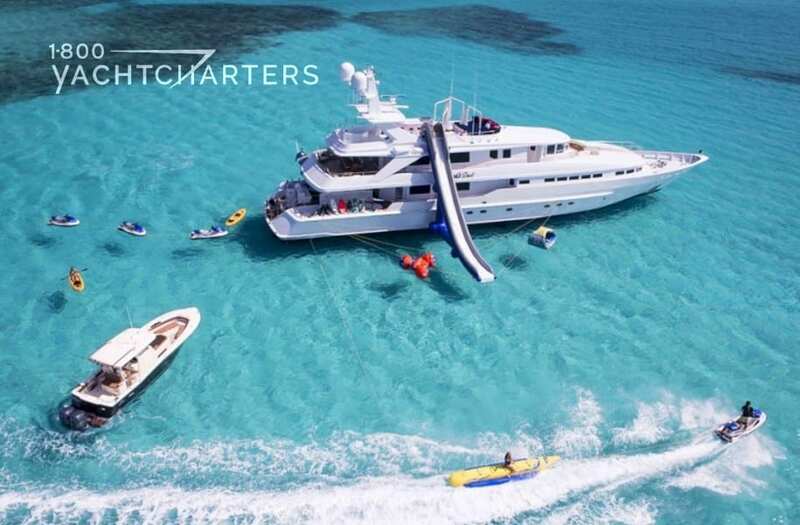 1-800 Yacht Charters has been delivering The Superyacht Experience to their clients for over 30 years, and maintains a database of more than 500 crewed charter yachts around the world. Only 1-800 Yacht Charters offers a Best Price Guarantee and makes a donation to a recognized charity in your name when you make your reservation.